Techmounts 3rd generation mounting system. 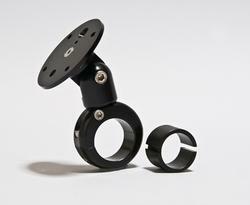 This mount combines all of the current production handlebar sizes from 7/8” (22mm) up to 1 ¼” (32mm) into one mount system. 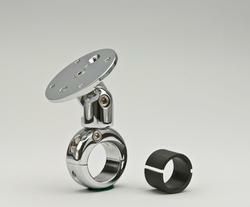 This allows it to fit virtually every motorcycle with tubular handlebars. 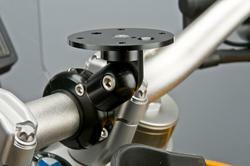 Requires only ¾” of handlebar space and can be mounted at any angle. Available in Black, Silver or Chrome. 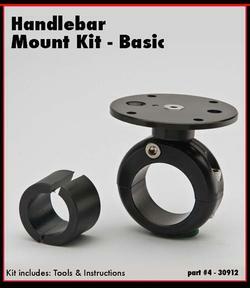 Having no need for a shaft, makes this mount system very strong and very compact. 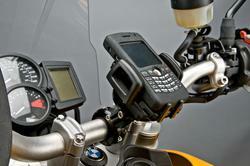 Mounting Garmin ZUMO 660 requires P/N 60007 ZUMO Top Plate!